The man portrayed on the Polaroid here above goes with the name King James Britt, aka KING BRITT. 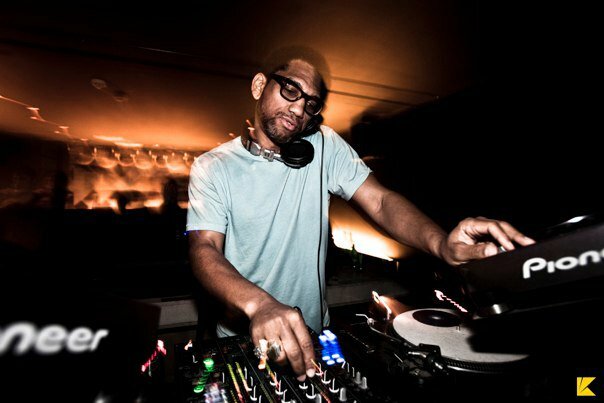 King Britt is a DJ and a music producer residing from Philadelphia, USA, and over the years, King made a steady, respected name for himself after being in the music industry for almost twenty years. How to describe King Britt and his work? 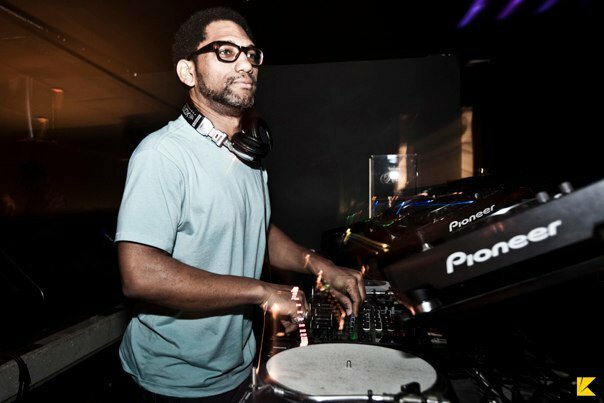 King Britt is both known for his electronical music as for his soulful side meaning his range of sounds consist of Jazz, Soul, Funk, Afro Beats, Hip Hop, but also Deep House, Broken Beats and New Electronic Jazz. Early in his career King Britt was a DJ (then known under the name ‘Dj Silkworm’) for the Grammy award winning hip hop group called DIGABLE PLANETS. After touring the world with Digable Planets he moved on and concentrated on his solo career as a DJ and music producer. He is celebrated for his own releases. Some personal favorite tracks are the following: SYLK 130, ADVENTURES IN LOFI, OBA FUNKE and SISTER GERTRUDE MORGAN. As well his remixes for Solange Knowles, Erykah Badu, Macy Gray, The Glitch Mob and many more like the ST JAMES INFIRMARY REMIX and the SANTIGOLD REMIX. His production skills got him the opportunity to work on some movies and series and last but not least, he is also head of his own label called FIVE SIX MEDIA. That’s one pretty impressive resume if you ask me. The story behind these Polaroids is actually very interesting. I was very honoured, at the end of the day, I write simple little stories about my favorite artists and my – mostly – very unusual musical journeys. I don’t even consider myself a real writer, I just write stuff down, don’t really compromise in short stories and hope it turns out alright, so for King Britt reaching out, telling me he liked my stories … I was genuinely flattered. You all know, that in March last year, I went to Miami for WMC and me being there turned out really great for this blog. 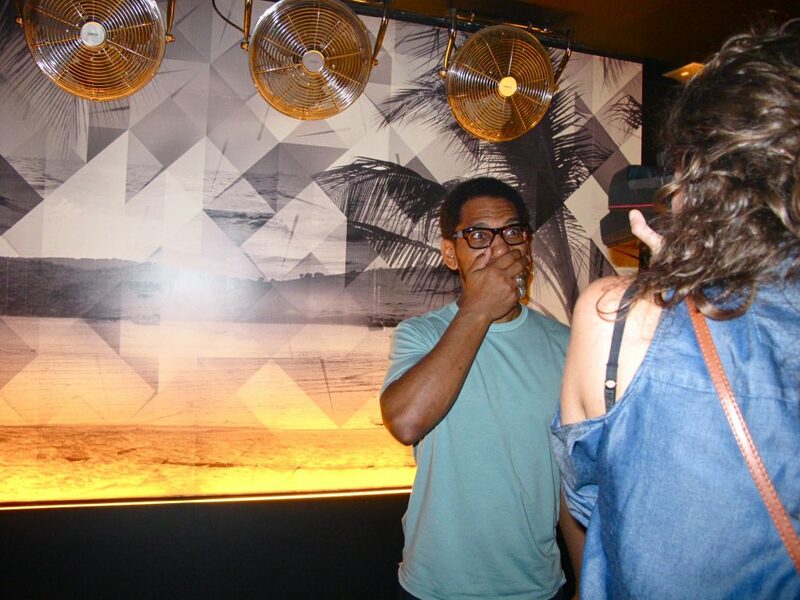 I managed to snap Kelis, Aloe Blacc, Gilles Peterson, A-Trak and little miss Rye Rye. Yeah…that was a rewarding trip, to say the least. What I didn’t tell you, (I tend to save some stories whenever I feel that there will be more to tell one day) is that I also aimed for a Polaroid picture of Mr Britt. He organised an event somewhere in Downtown Miami in a place called The Electric Pickle in celebration of his latest album called THE INTRICATE BEAUTY. 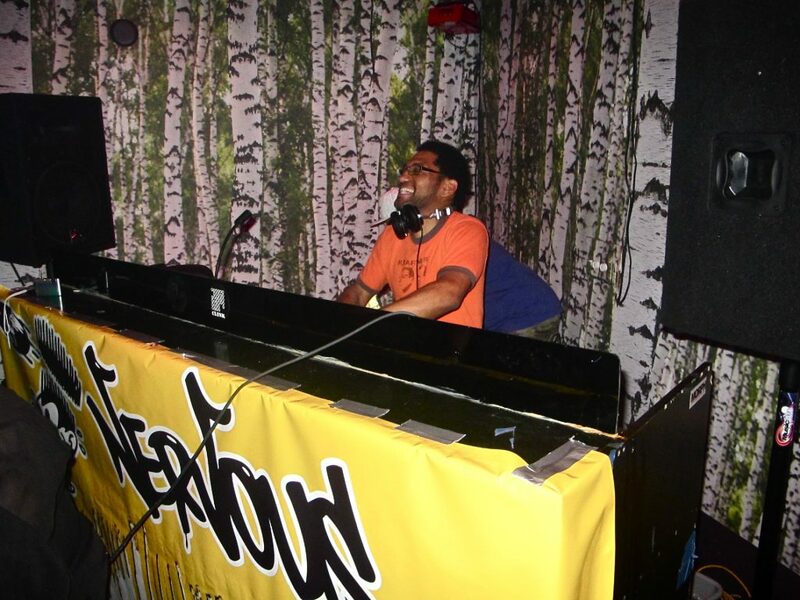 Also on the menu for that night was Vikter Duplaix and Rich Medina with live vocals from Rucyl and Astrid Suryanto. I was really surprised. Ok, I mentioned it once or twice, but that doesn’t mean I expected them to actually book the man! 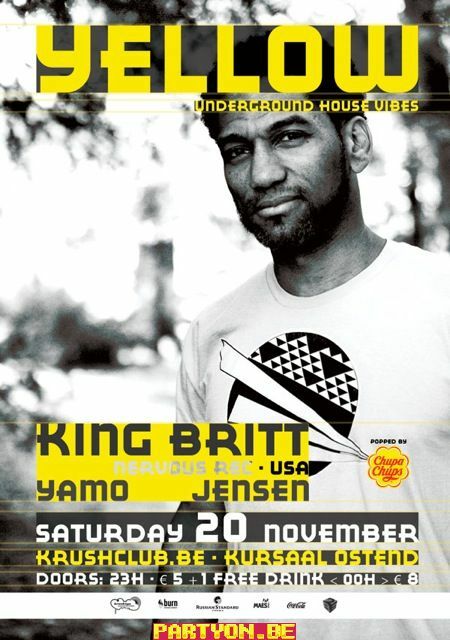 But marvellous news nonetheless… King Britt in my hometown Ostend! I live practically right néxt to the club, which is located under the Ostend Casino and right in front of the seaside. Meaning, for once, I could look forward to simply WALK to a Polaroid Story instead of the usual bus-train-tram-cab-car-plane-drama and sleep in my OWN bed instead of a tent, a sofa with rabits, a crooked mattress or a cheap smelly motel room. And that’s exactly how it went down. Me and my partner in crime Jules walked to the club, completely relaxed, chill, ready to enjoy a night of good music with King Britt. After King’s housy set, we had some time to chat and finally take that Polaroid picture. 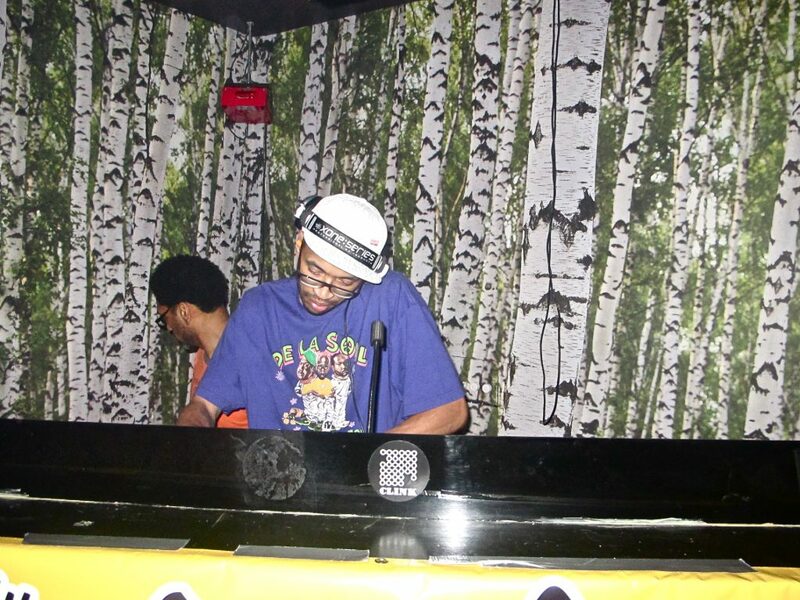 Before going solo and being a DJ/Producer you toured the world with Digable Planets as their DJ. How did that period define the rest of your career? Actually, I was producing years before Digable. I had a pretty big tune in Europe on the Strictly Rhythm label called Tribal Confusion. It wasn’t till years after I met Butterfly from Digable and watch the whole process of making this legendary album and then touring. That definitely changed the idea of ‘what is possible’ for me. I then knew that I could create a complete album from to back. So, I did the amazing Sylk130 project which became the blueprint for the Philadelphia soul revival. You are a very eclectic DJ. You are equally known for ‘Dance & Electronical’ music as you are known for your hiphop/soulful side seeing you grow up in Philadelphia close to artists like Jazzy Jeff, Cash Money, etc. Last time I saw you at WMC in Miami, you were playing a very soulfull set, where here in Ostend, you played strictly house. The guys in Ostend said it was a house night, so I sort of stuck to that vibe in my own way. The problem for me has been that over the years, music has been split up into so many genres. This of course affects the nights. In the past I didn’t really care and played everything but playing hip hop on a house night sometimes angers the listener. Now, I’m exhausted with the whole dj world in a way. What I’m in the process of doing is, setting up King Britt nights around the world, where I will play all genres and also play from beginning to end as much as possible. This way I can create the atmosphere I want the listener to have and experience all genres and sounds. This is why I love playing at Deep Space in NYC with Francois K. You can go all over the place. Is it a bless or a curse these days to be as versatile as you are? I always look at everything as blessings. Versatility is what is needed now in days to survive in this business, especially as a producer and lover of many musical styles. It allows you to be in many different scenes and create amazing bodies of work. It’s obvious you understand the concept of online media and make sure your music has a virtual presence aswell through out your website, blog, twitter & FB account. In your opinion, did the digital revolution make it harder or easier for an artist/DJ/Producer? What are the positive/negative sides of this evolution? In one way of course it has made it harder, because of the easy access of everything. In the vinyl days, only a few thousand were in the world of a particular song, so to have it was much more difficult. This also gave you much more of an identity as a dj with a certain sound. Now, every song almost is easily accessible online. This is why I am moving more towards the live experience with projects like Saturn Never Sleeps, that I do with Rucyl or I’m in the process now of combining my live dj’ing with my technology to create a more unique experience sonically. Like live remixing! The advantage of technology is reaching your audience and interacting with them. Now, as an artist, you can set up your own label, store, sell your own music and reach the target audience. You may not make the money you think, but in terms of spreading your name, you will definitely do that. Then you can flip that into more gigs. Can you explain my readers what your sideproject called Saturn Never Sleeps is all about? Actually, SNS is my main project. I do this with my lady Rucyl and in a year, we have created a very solid brand that is now followed by many thousands of people. It started as a performance piece we did for a travelling Sun Ra exhibit which came to the Institute of Contemporary Art in Philly. We broke many of his songs down and re-presented them in new context. It went so well we decided to do more. We then curated a SNS night, in which we carefully selected our favorite underground electronic musicians, jazz musicians and video jocks, and created a space where we all improvised, proving that this is possible in electronic music. We brought everyone from Ras- G to Flying Lotus to musicians like Ben Neil and Taylor McFerrin. We did this in Philly and NYC. We then developed the SNS label. It’s yet another platform for our taste and pushing sound forward. The blog of course is one of the most popular in electronic music now. Rucyl does most of the posting and I’m completely blown away by what she finds. We are now creating an album as Saturn Never Sleeps – the band – It will be released early summer and we will tour again. This time more structured songs but keeping the improv process in tact. You score tv series (True Blood) and movies (Miami Vice, For Colored Girls) any new projects in that department you are working on at the moment? I have scored ‘scenes’ for Miami Vice (10 scenes), I have had two songs in True Blood, one which is on the soundtrack and had the season finale named after it (which samples an early 1970’s gospel recording by evangelist and poet Sister Gertrude Morgan) and one song I produced For Colored Girls, by Zaki Ibrahim. I’m working on a documentary right now, which is about a special place outside of Vegas called Lake Mead. Will be for cable and shown in the summer. Scoring things kind of just fall into my lap from other sources. It’s a beautiful thing but not something I would do all the time unless I have most of the control over what I’m scoring (like with Miami Vice, where he (Director Michael Mann) specifically called me for my sound. If you took the liberty to completely re-score an already existing movie, which movie would you choose? Thats funny, because my new project Fhloston Paradigm, is a collection a songs that were inspired by Science Fiction films that I would use to re-score. I would love to re-score Rollerball. I’m actually working on a video now using some scenes. Scoring a movie to me looks like the most difficult thing in the world because you have to understand sound in its purest form and translate it to an emotion, place, movement, object, etc… I heard you graduated as a math teacher, does that in a way emerge out of you/help you when you score movies or make music all together? Hahahahaha……I hate math! I don’t know where that came from. That’s awesome. No, I went to school for Marketing/Advertising. Way away from math. No, when I do music period, it’s always visual for me. I’m always ‘scoring’ in a way, so it comes very natural. But like I said earlier, I only want to work on things which I can control, most of the music decisions. You can score for things and not have one ounce of creative say in it, which is mostly the case. Most directors are just using you as a vehicle to express ‘their’ musical vision and not a collaborative effort. You have been in the music industry for more than 20 years now, remixed for a quite some artists and you are known with different generations of people. Which new emerging artist/dj/producer do you feel most related musically at this time? Very good question. I think Robin from Quadron is one of the best producers of the moment. I really want to hear him work with other vocalists to spread his sound. I feel Burial has an untouchable sound. I am also feeling James Blake‘s stuff. Tell my readers what they can expect from you in the near future and ìf they don’t know your work, to which album they need to listen? I’m definitely working on more experimental things now, which I feel ‘free-er’ in doing now. I’ve worked in all areas of music and feel experimenting is key now. So keep looking to SaturnNeverSleeps.com for all the new stuff.Now, I am also re-releasing a lot of my old projects, like the amazing Sylk130 series, which is really the story of my life in 70 & 80s… They are like mini movies. I just re-released the Obafunke project, which is my afro-technology project featuring Zap Mama, Wumni and others. My favorite you should get is Adventures in LoFi on BBE. Its my hip hop album featuring De La Soul, Madlib as Quasimoto, Butterfly etc. Any musical guilty pleasures we might not expect from King Britt? See I love all music, so I never feel guilty listening to what’s good. I guess Van Lear Rose by Loretta Lynn (produced by Jack White) is one of my favorite albums. Really amazing ! I once read on twitter that you turned down to score the movie Precious. True Or False? Well, I met with Jeffrey Daniels to watch the film unedited at his house in NYC. He loved what I had been doing and wanted to bring a Philly vibe to the score. I sent some ideas but he wasn’t feeling them and I knew it would probably be more work than I wanted to do, so we just didn’t pursue the idea. But the movie turned out fantastic! 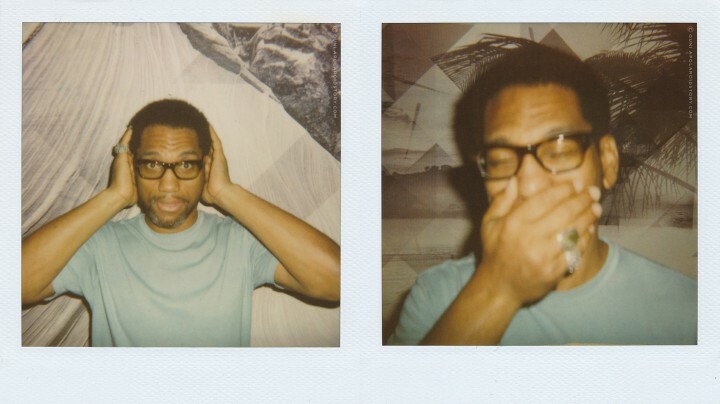 What is the biggest misconception about King Britt? That I’m only a dj or I only play house music. LOL…..wrong. I am music, all areas all my life. It was your first time playing/visiting Ostend to play in Krush Club. How did you experience the night/city/club? If I say Belgium, what 3 words pop out of your mind? 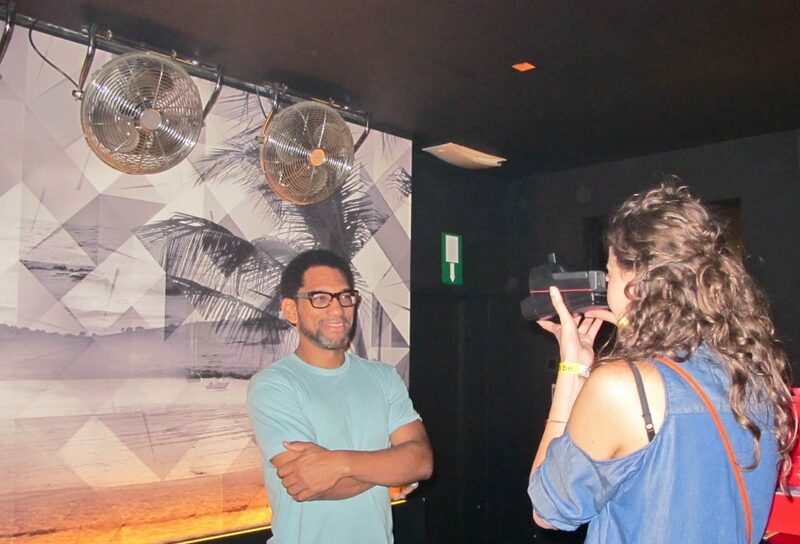 Et voilà…another interview jùst for you guys! After I took the pictures, King Britt went back to his hotel to rest before he had to catch an early flight and me and Jules also left the club. Five minutes later we were àctually home. What a luxury! From Miami to Ostend … It took me some time to get this Polaroid picture. Approximately 8 months. Funny how life twists and turns but I guess, at the end, you always receive what you réally want. Right? PS: There is drama on the way for the next polaroid story. MAJOR DRAMA. Ms. Lady, you are a writer, you just have not realized it yet. Good job!